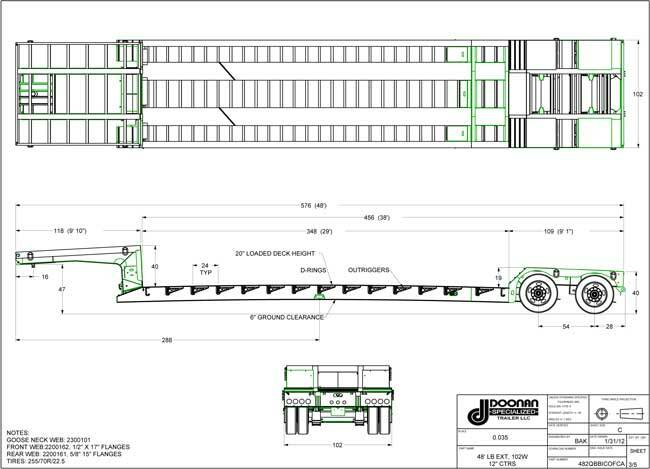 Trusted Mechanical Detachable (RGN) Double Drop Trailers » Doonan Specialized Trailers, LLC. Varying Capacities From 30 – 55 Tons. Weight 15,301 lbs. 19,722 lbs. Hundreds of custom options available, see our Option List for more details.